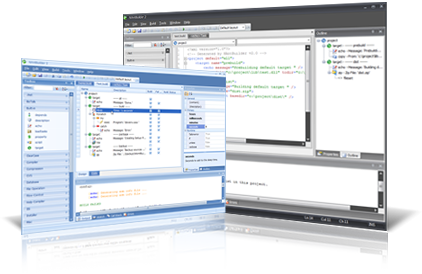 Full-featured IDE for NAnt, with Visual Designer, Intellisense, Syntax Highlighting, NAnt Debugger, etc. Provides a flexible, easy-to-use platform to author, debug and execute NAnt script. Add webpage snapshot & thumbnail capabilities to your .NET application or ASP.NET website. 100% native C# code. High DPI snapshots capable. 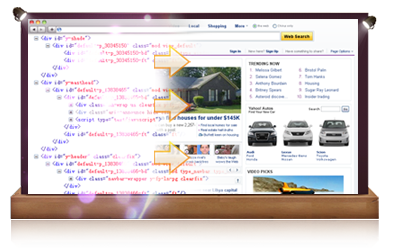 Convert webpage to image with ease, utilizing the power of IE, Gecko and Webkit rendering engines. Multiple platform supported: Window, Linux, Mac. HtmlCapture is designed to convert HTML to images, via using the underlying power of Internet Explorer, Firefox and Webkit. It exports plenty of functions, which help you easily create html snapshot or web page thumbnail of the captured image. .NET component designed to convert html to image using the functionality of Microsoft Internet Explorer. It exports many functions, which help you easily create html snapshot or web page thumbnail of the captured image.